The ADJ Vizi Beam 5R, Moving Head Fixture features the revolutionary Philips® Platinum 5R discharge lamp technology (8000˚K, 2,000 hr). The powerful Platinum 5R has an output comparable to a 575W fixture, with double the output of a 250W fixture. It also offers a flat, even spot field and even more saturation of colors. The Vizi Beam 5R is much faster than previous ADJ moving heads because it is much lighter in weight and more compact than other moving heads in its class. It’s very tight, 3-degree beam with extreme output makes it ideal for applications where a small beam is necessary. Considering purchasing the American DJ Vizi Beam 5R Moving Head - Only 1 Available? Have questions? Ask people who've recently bought one. Do you own the American DJ Vizi Beam 5R Moving Head - Only 1 Available? Why not write a review based on your experience with it. 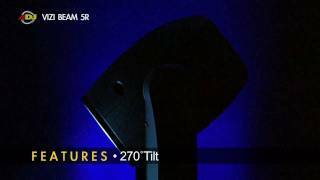 Seen a video for American DJ Vizi Beam 5R Moving Head - Only 1 Available online or have you own video? 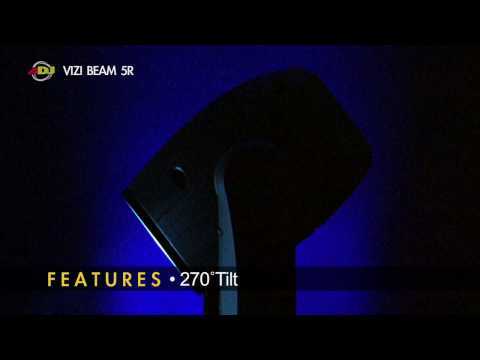 Check out American DJ Vizi Beam 5R Moving Head - Only 1 Available on DJkit.com!